This was my very first branding project for a blog. 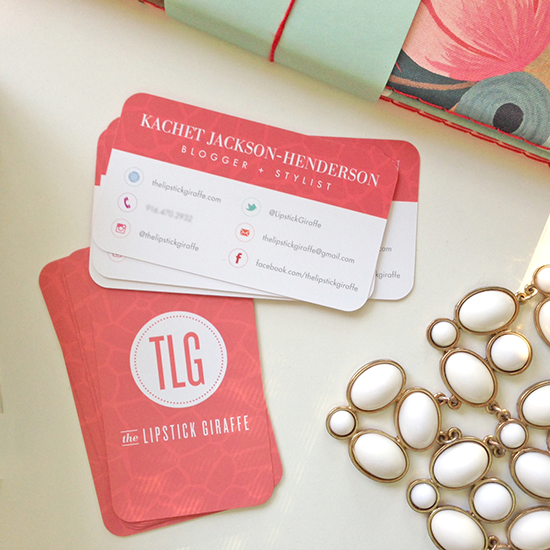 Two years down the road we’ve designed and branded The Lipstick Giraffe’s blog, logo, business cards, ad buttons and Facebook cover photo. I was really pleased with how the printing of the business cards turned out through gotprint.com. The rounded corners give it a fun edge. I love making logos but what I enjoy most is the branding process. A really solid brand well-thought through brand will hold up in several different types of applications. I know these brand studies are a deviation from the normal outfit post, so let me know if you want me to continue sharing these. 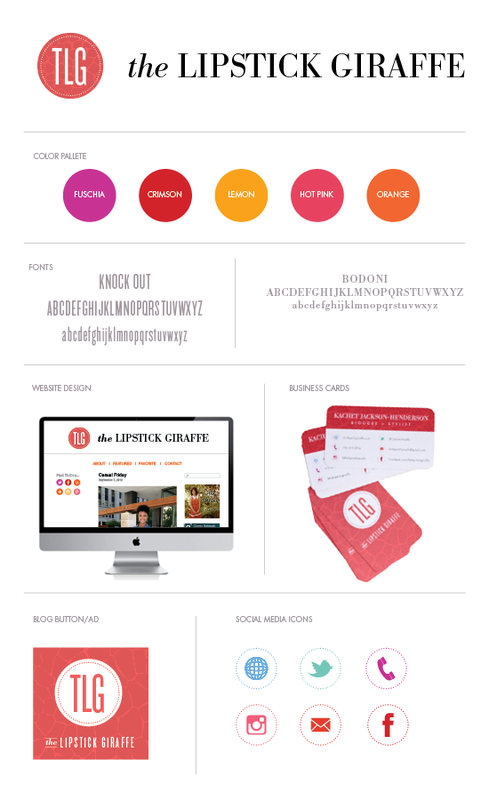 If you’re in need of a new brand for your blog, drop me a line through the comments page. Hope everyone is having a great week and finishing their Christmas shopping! i loved this layout! i went and checked the site myself… love the colors.. sometimes just all white is a little plain and you need a little color to make it more welcoming! You did such a great job on this! Love the color palette especially. Oh great job in branding!! Really great job! I love this!!! I’m in marketing but not a designer, but I have mad appreciation for beautiful branding!